basilhenryliddellhar is a Legacy Library. Legacy libraries are the personal libraries of famous readers, entered by LibraryThing members from the Legacy Libraries group. 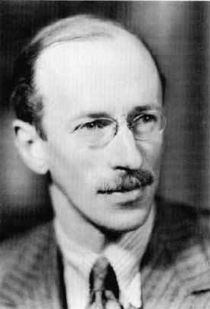 » Basil Henry Liddell Hart 's catalog. » Basil Henry Liddell Hart 's legacy profile. basilhenryliddellhar is also an author. » See B. H. Liddell Hart's author page. About meMilitary historian, strategist, journalist and occasional adviser to governments. I also wrote articles on tennis. I'm most widely known for being one of those responsible for the development of armored warfare tactics specifically the "indirect approach". See my book Strategy. About my libraryMy library was divided in two parts. The military history when to King's College, University of London the fashion books were purchased by Liverpool John Moores University. http://library.kcl.ac.uk/F/ http://www.livjm.ac.uk/lea/77467.htm Thanks to Donogh for adding the fashion books. The military history was added by jmnlman.